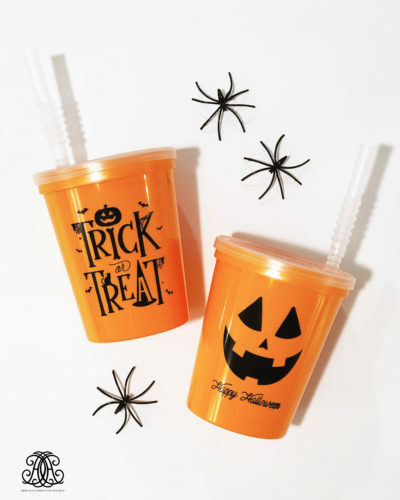 Your little ones are in for a real treat with our Trick or Treat Halloween Children's Cup. Perfect for Halloween Parties, school and friend gifts or simply for your family! A set of 8 includes 8 cups, 8 clear lid and 8 bendy straws. Top Rack Dishwasher Safe.